Size: approx. 100 mm. Photo: 08/13/11, 9 pm. 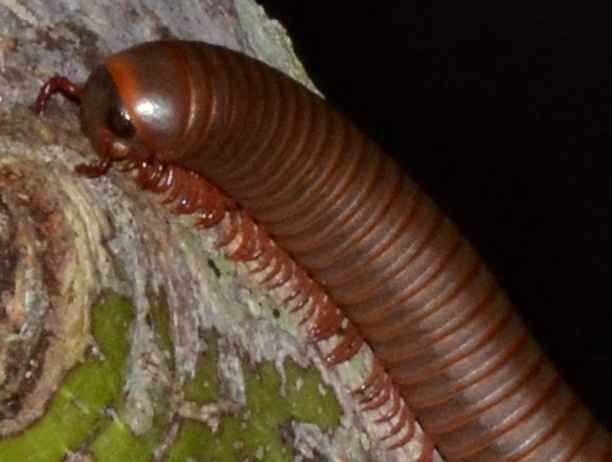 This Worm Millipede is Narceus americanus. 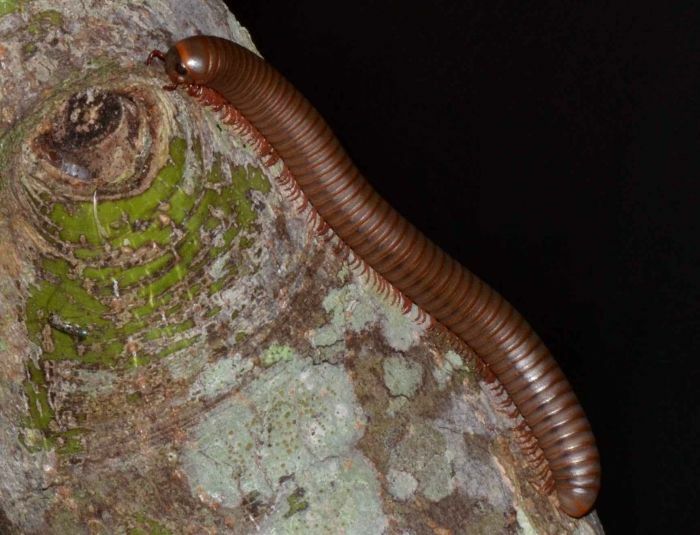 It is approximately twice as large as other millipede species in North America and also the most common one. They curl up when threatened and can release a liquid containing benzoquinones which cause burns and skin discoloration.